J. M. Hochstetler is the daughter of Mennonite farmers and a lifelong student of history. 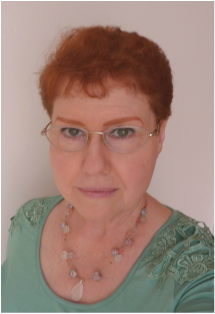 She is a professional editor, a publisher, and the author of award-winning historical fiction whose books have been endorsed by bestselling authors such as Lori Benton, Laura Frantz, Jocelyn Green, Michelle Moran, and MaryLu Tyndal. Her American Patriot Series is the only comprehensive historical fiction series on the American Revolution. Northkill, Book 1 of the Northkill Amish Series coauthored with Bob Hostetler, won Foreword Magazine’s 2014 Indie Book of the Year Bronze Award for historical fiction. Book 2, The Return, was named a 2018 Shelf Unlimited Notable Book and received the 2017 Interviews and Reviews Silver Award for historical fiction. One Holy Night, a contemporary retelling of the Christmas story, was the Christian Small Publishers 2009 Book of the Year and a finalist for the American Christian Fiction Writers’ Carol Award. You'll Also Find Me . . .